Mattis’ more diplomatic tack reflects the U.S. administration’s recognition of China’s crucial influence on Korea as negotiations move ahead to get North Korea to abandon its nuclear program. 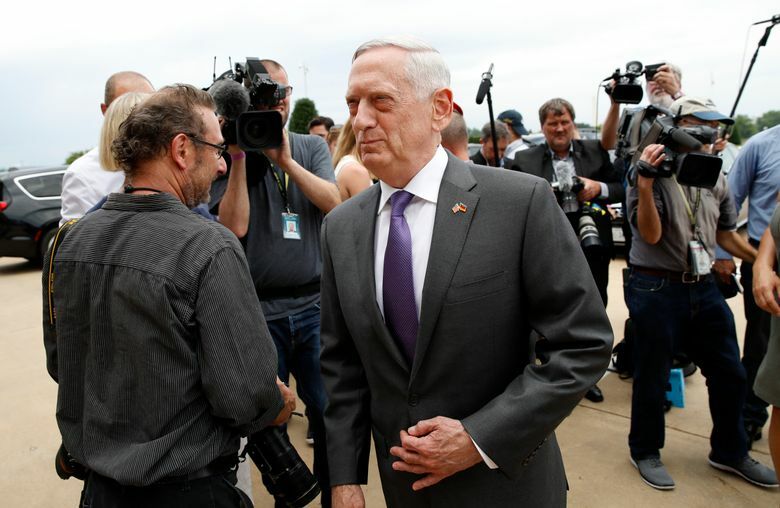 One senior U.S. official said that while Mattis will willingly lay out America’s position on China’s military buildup in the South China Sea and other points of contention, the Pentagon chief doesn’t want to open the conversations with “the irritants.” Instead, the goal is to have higher quality talks about the two countries’ military relationship, said the official, who spoke on condition of anonymity to discuss internal deliberations on the trip. Last month, however, Mattis abruptly disinvited China from a multinational exercise in the Pacific that will begin in a few days, in retribution for Beijing putting weapons systems on manmade islands in the South China Sea. And days later he publicly threatened “much larger consequences in the future” if the militarization continued. It’s all but certain the Chinese will raise those issues with Mattis, as well as Beijing’s long-held opposition to increasing U.S. contacts with Taiwan. China claims the self-ruled island as its territory. The U.S. has also long been frustrated that China doesn’t share much information about any war scenarios or other contingencies it has in place in the event of a conflict on the Korean peninsula or the collapse of the North Korean government. This is Mattis’ first trip to China, both personally and as defense secretary. He said he has been in Hong Kong several times. The last Pentagon chief to visit China was Chuck Hagel in April 2014. During his stop in Alaska, Mattis will visit a key element of the America’s missile defense system at Fort Greely, the strategic missile interceptors. Sen. Dan Sullivan, R-Alaska, flew with Mattis from Washington and is expected to go to Fort Greely with him.